Hearing loss caused by damages to the cochlea or the nerves that carry sound signals from ear drum to cochlea is known as sensory-neural (SNHL) hearing loss. SNHL is the most commonly occurring permanent hearing loss. In profound sensorineural hearing loss, the hearing loss is above 91 decibels which means the person with profound hearing loss will not be able to hear anything and will be deaf. In general sensory-hearing loss is classified as congenital or acquired. If the hearing loss was present at the time of birth then it is congenital and if it was acquired after the birth, then it is known as acquired. 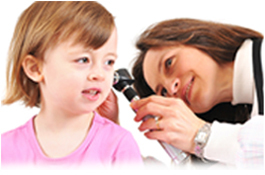 Congenital hearing loss is the most important problem found in new born babies. The congenital sensory-neural hearing loss is usually genetic. It can also be caused by the abnormal development of the fetus. If the pregnant mother is infected by German measles or rubella there is every possibility for the conceived child to develop congenital hearing loss. Trauma, age related problems, meningitis, ototoxic drugs, continuous exposure to heavy sounds produced by machinery, fireworks, etc also are reasons for the acquired hearing loss. People with mild to moderate hearing loss can improve their hearing power by using hearing aids. For people with severe hearing loss, hearing aids will not be of any use. In sensory-neural hearing loss sounds become distorted. Amplifying them through hearing aids will only make them louder. It will not help it to be clearer. Cochlear implant is a latest method developed which if implanted helps the person with sensory-neural hearing loss to bypass the damaged part of the ear and stimulate the hearing process. Cochlear implants helps in converting the sound wave to electric waves and helps the patient to improve his hearing capacity. When your hearing loss is limited to one ear, then hearing aids can be of great help. But in the case of profound sensorineural hearing loss even this is found to be of little help. Baha bone conduction implant system is a system which is used for the transmission of sound to the working ear from the damaged ear through the bone. This improves the patient’s ability to distinguish sounds in a noisy situation and reduces the attenuation of sounds.